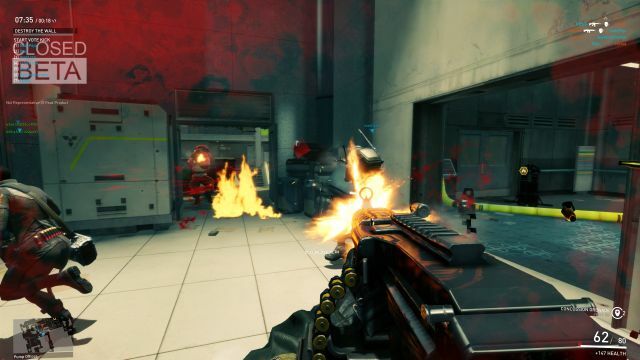 It’s been a while since Splash Damage, the creators behind the classic Enemy Territory series, has graced the PC Gaming world with another one of their team-based shooters. 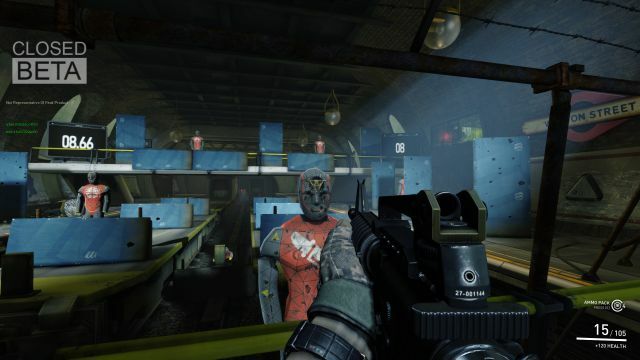 Their previous venture to bring objective focused gameplay into the modern era known as “Brink”, was a colorful movement-based shooter that attempted to mix objective focus teamplay with Mirror’s Edge style parkour elements. While it sounded like an amazing concept on paper, the final product proved to be a mediocre mishmash of poorly executed game mechanics. 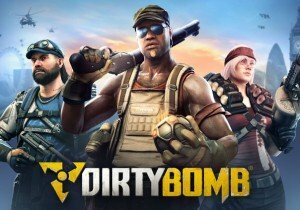 Now Splash Damage is giving the FPS scene another shot with their latest title “Dirty Bomb” (Previously known as Extraction), which contains various similarities to Brink, but removes most of the parkour elements in exchange for more solid and standard FPS elements. With Dirty Bomb previously in closed beta, I decided to give it whirl, just to see if the game was something that I should look out for. Though I went in with fear of another Brink, offering great ideas with sloppy execution. When I first started the game, I was instantly reminded of Brink’s visual style which was more lively and colorful when compared to most modern FPS titles. At the same time, however, it was still grounded enough in realism, which I feel will help give Dirty Bomb somewhat of a distinct identity. The tutorial was pretty straight forward, as it explains the basics of movement, aiming, character abilities and more. Although anyone that has played a modern FPS title before should know exactly how to play Dirty Bomb, whether they decide to go through the tutorial or not. However, what the tutorial DID NOT explain to players is the extra movement abilities that players have access to, such as wall hopping and long jumping. Wall hopping can be performed by jumping against a wall and pressing the jump button again, while long jumping can be performed by holding down the crouch button while running and pressing the jump button. Real nice and simple. Still, the fact that these movements were not mentioned within the tutorial made me believe that they would not play an important role in combat and would only be viable in limited situations. So after the tutorial was completed, I took a peek at the different kinds of mercs/classes available. These mercs are probably my favorite thing about Dirty Bomb, as they were filled with so much personality. So while there were only a handful of class types available, including assault, medic, engineer and sniper, they all came from different backgrounds and have different weapon loadouts and skills, so each merc within each class type does not play the same. The mercs also come off as a bit racially stereotypical and have silly dialog to go with them. A lot of times when browsing their profiles, I couldn’t help but chuckle. Aura’s the name… Healing my g- Hell, this aint no game! This’ serious business! After selecting up to three mercs, it was time for me to jump into a match. There’s currently two available mode types among three different maps: Objective mode and Stopwatch mode. Objective mode has two teams attacking and defending several objectives across a large map, while stopwatch mode has two teams attacking and defending a single objective on a smaller map. Of course completing the mission the fastest nets your team the win in either mode. Objective mode seemed more engaging, so I went with this mode first. It didn’t take me very long to get a match going, and I was thrust into a defense mission against an enemy team that was trying to deliver C4 bombs into an abandoned subway line. Using Thunder, Fletcher and Sawbonez as my mercs, I dived headfirst into a world of hurt. After a few matches, I started to get a good feel for the ebb and flow of each match, and that ebb and flow was: “DON’T RUN AROUND LIKE A CHICKEN WITH ITS HEAD CUT OFF, and DON’T EVEN ATTEMPT TO RAMBO YOUR WAY THROUGH!” Seriously, Dirty Bomb has one of the lowest “Time-to-Kill” (TTK) windows I’ve seen compared in any modern FPS I’ve played recently. For those that don’t know, low TTKs in an FPS titles means that every player is incredibly squishy and can be taken down with only a few bullets. Even heavy mercs such as Lighting can be taken down fairly quickly. While this may be frustrating for those that are looking for a more arcade style FPS feel, the low TTK enforces the whole teamplay aspect of Dirty Bomb. It took me awhile to get used to the sudden death nature of Dirty Bomb’s gameplay, but once I did, the action started to feel a lot more intense, and a lot more enjoyable. Making use of cover became vital, and waiting for teammates to gather up before assaulting an objective was crucial. Making sure that everyone was healed, everyone had ammo and everyone was playing their part to win the match was very important. Seems like this game leaves almost no room for slacking. 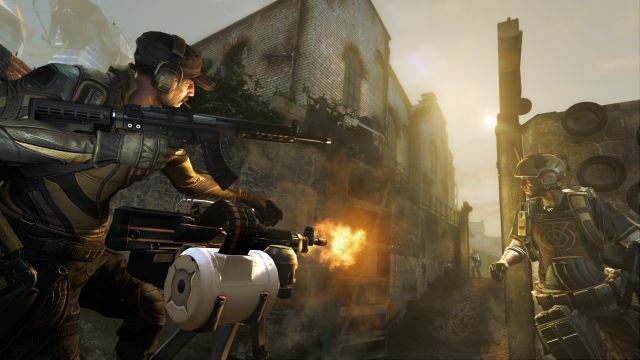 The kinds of objectives that Dirty Bomb had available were currently short of unique and innovative, as they mostly revolved around defending and delivering objectives. While these are very tried and true for any objective-based FPS title, some variety could be appreciated. During a few of my matches, I decided to see if any of the game’s extra movement options would come in handy. After a few attempts to wallhop and longjump from place to place, I can sadly say that they have very limited usage. Even in places where you think a wallhop could come in handy, there’s barely enough jump height to be gained off of a wall hop in order to make it onto ledges and such. There’s also places where the development team could have easily included some kind of mantle option in order to climb up on top of ledges instead of attempting to wallhop there, but that ability seems to be completely absent from the game. With the lack of usage for movement abilities in this game, it just makes me wonder why they even bothered to include them in the first place. Overall, I would have to say that Dirty Bomb has a decent foundation to work with, but there’s a lot that needs to be done in order to make it stand out from other modern FPS titles on the market. Personally speaking, I would like to see the TTK bumped up just a little bit so players don’t get killed off in just a few shots, and would really appreciate more use of movement abilities. Other than that, more maps, more objectives and more modes overall, plus a cash shop service that’s fair and balanced could give Splash Damage the redemption they need to stick around in this gaming industry. 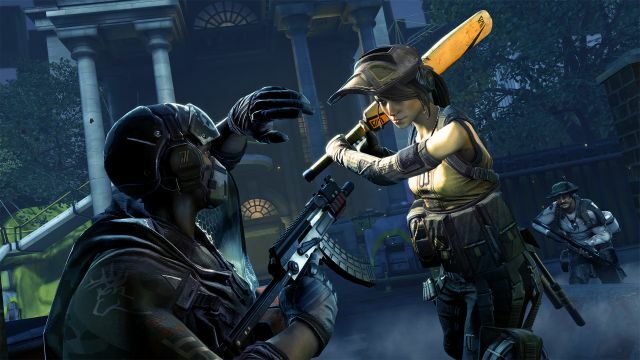 Want more Dirty Bomb? Catch JamesBl0nde’s first look video now!